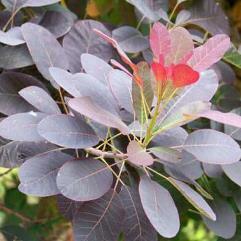 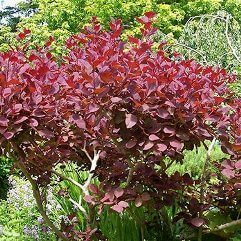 This Cotinus has wine red to purple leaves in summer through to autumn. 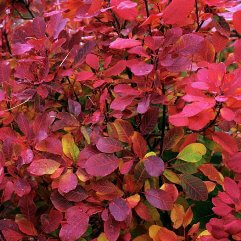 The autumn foliage is a brilliant orange-red. 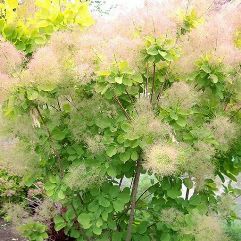 Large fairy floss like flower heads appear from summer to autumn on all branch ends. 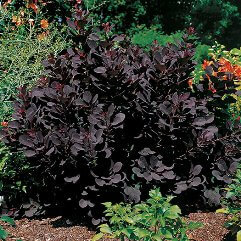 A great back drop, border or specimen plant.